The notice below was published in Walch’s Tasmanian Almanac in 1873, at a time when the Port Arthur prison site on the Tasman Peninsula, 60 kms from Hobart, was still in operation. The traveller from Hobart faced a frequently interrupted, long and uncomfortable journey, alternating between road and sea transport and an overnight hotel stay. The Government schooner Harriet in foreground at Port Arthur 1874 and the Southern Cross in background. Entry to the Tasman Peninsula depended on the issue of a pass, signed by the Colonial Secretary, by prior arrangement, which was collected by the armed guard at Eagle Hawk Neck, 14 miles distant from the prison itself (so the story goes, though many visitors on government business arrived without the pass). By 1874, however, the traveller could take an alternative route. In 1874, at a cost of £27 000 the 5 km causeway across Pittwater linking Sorell to Midway Point and Midway Point to Hobart was completed. 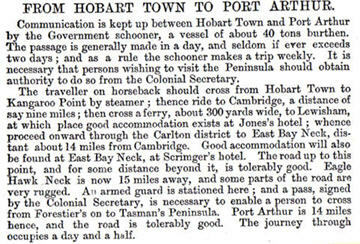 It had taken six years and was primarily designed to link Port Arthur with Hobart. Photographers including Alfred Bock and Thomas Nevin in the 1860s, and Thomas Nevin and Samuel Clifford in 1871 and 1873, used the government schooner Harriet. Thomas Nevin may have travelled along the causeway to Port Arthur at some time later than 1874, and travelled by sea as well with his father-in-law, Master Mariner Captain James Day. He was on police business when he travelled to Port Arthur on board the schooner Harriet on May 8th, 1874, one week after the official tenure began of the new Commandant, Dr. Coverdale. In reality Coverdale had already replaced A.H. Boyd in January 1874 with A.H. Boyd’s sudden resignation from the position under allegations of corruption and nepotism levelled at him and his brother-in-law Attorney-General W.R. Giblin in the Parliament in July and continuing through 1873. On May 8th 1874, Nevin arrived at Port Arthur accompanied by the prisoner William Campbell who was hanged as Job Smith one year later. It was at the insistence of Dr Crowther in Parliament and Dr Coverdale that no more prisoners be sent to Port Arthur and those still remaining be removed to Hobart asylums and gaols, a process begun in 1871. It was Thomas Nevin who photographed the transferees on their arrival at the Hobart Gaol if he had not already photographed them on committal to the Supreme Court and adjoining Hobart Gaol prior to their removal to Port Arthur. 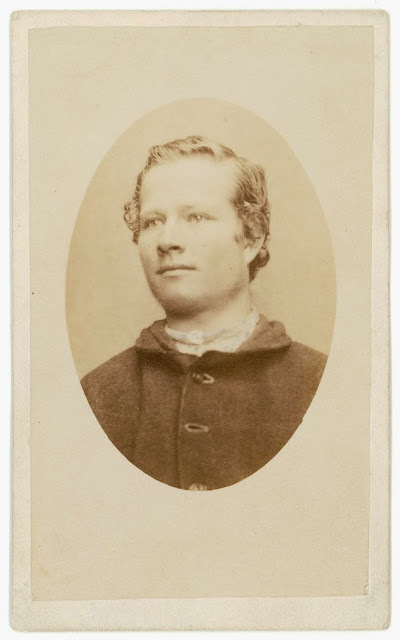 Photographed as William Campbell from the Supreme Court trial, and recorded as Campbell on being received and photographed at the Hobart Gaol; by Nevin, March 1872. This carte is hand coloured, probably by Nevin’s studio assistants for display in his shop window when Campbell was tried again at the Supreme Court Hobart 11-14 May 1875 and executed. The misattribution to Commandant A.H. Boyd, Dr Coverdale’s predecessor, as a photographer, and THE photographer of convicts at Port Arthur was argued as a “belief” by Chris Long in the 1980s and 1990s, despite all evidence available to him pointing to the use of commercial photographers in prisons by governments in other Australian states (South Australia, Victoria), and readily available newspaper, police and Treasury documents of the period detailing Nevin’s work with police and the Hobart Gaol. 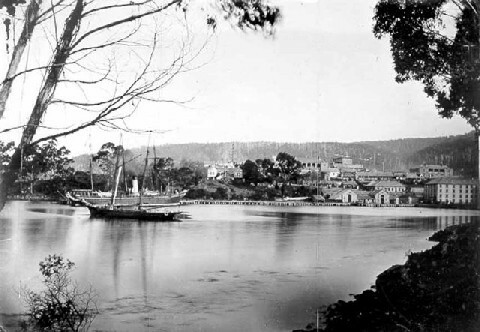 photographic materials were supposedly sent to Port Arthur in 1873, and a tent and stand were returned in 1874 to Hobart. a descendant of Boyd told a story in the 1930s about cameras at the Government Cottage. None of these pieces of information is factual nor adds up to anything close to proving attribution. The cargo lists of photographic materials indicate nothing more than cargo. 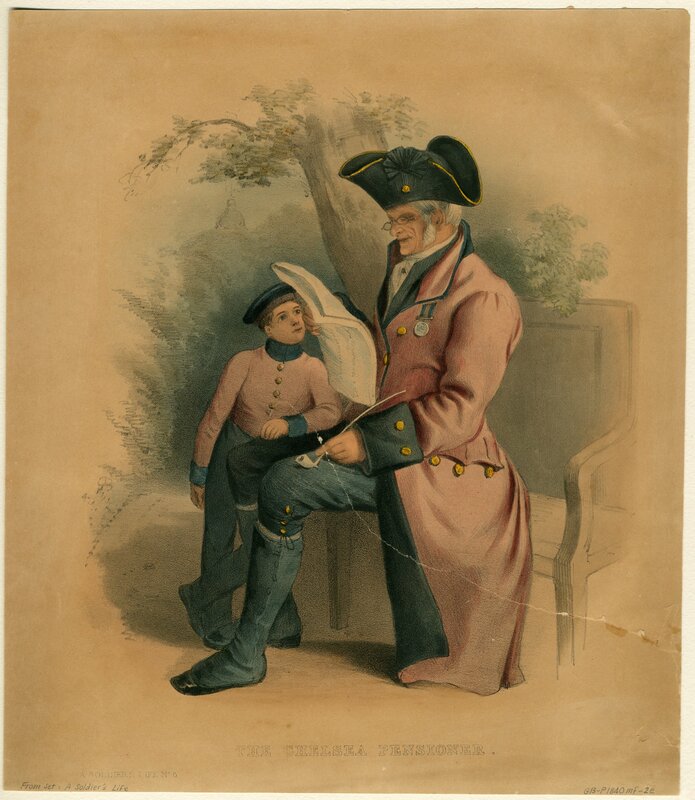 The descendant’s story was a children’s tale about a holiday at Port Arthur called The Young Explorer (E.M. Hall), an unpublished 3 page piece of FICTION which mentions neither Boyd nor the photographing of prisoners. The mention of a “room” with cameras in this children’s tale was turned into a “darkroom” by no-one else, just Chris Long. It was a story told in the 1930s by a woman in her sixties to give her young readers a taste of the old days, yet Long incorrectly ascribed it to an article by Margaret Glover in 1979, The same hearsay was embellished in the 1990s at the Port Arthur Historic site for the tourists visiting the Government Cottage. The third point is also unfactual: the dry plate process, or “Russell’s Tannin Process” rather than the wet collodion process was already in use by Samuel Clifford and Thomas J. Nevin in the mid 1860s (see Kerr 1992, entry on Clifford). 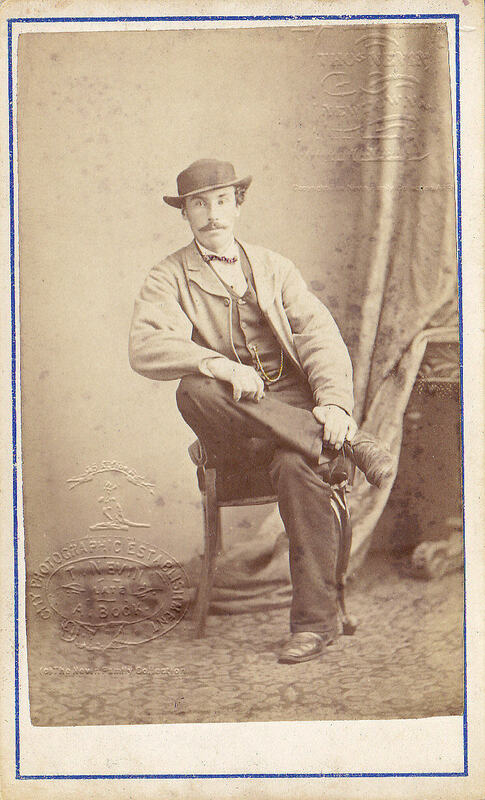 It may have been Samuel Clifford, partner of Thomas Nevin, who travelled on the Harriet in 1873 with the cargo of one case of photographic plates; a Mr Clifford or Gifford was listed as a passenger on the way bill, accompanying 288 photographic glasses which allegedly arrived there on board the government schooner Harriet on July 30th, 1873. The case was intended for the prison storekeeper from government stores in Hobart. There is no evidence, however, to suggest that the photographic plates arrived at Port Arthur: see this article here. The detail (above) of the first page of the Way Bill from Hobart Town for goods conveyed to the Port Arthur prison storekeeper on the government schooner Harriet, is dated July 30th 1873. These glasses, if they were actually sent, were primarily used by Clifford and Nevin to photograph the Port Arthur site and its surrounds, including the steady stream of visiting dignitaries. And they were probably used for stereoscopic photography, IF they had been used by these two professional photographers. 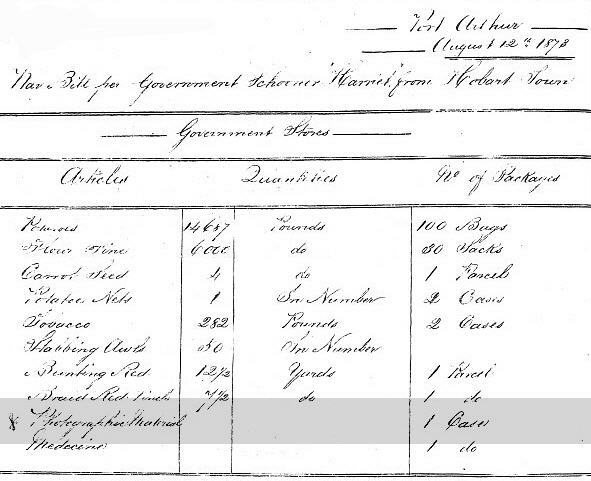 Photographic material to Port Arthur on the way bill of August 12, 1873. This second way bill (detail above), dated August 12th, 1873, delivered “Photographic Material – 1 case” to the Port Arthur government stores. Included on this way bill is “Bunting Red” and “Braid Red”, suggesting preparations for a festive or official occasion, such as the visit by the Governor of South Australia whom Clifford photographed there in 1873. On December 1, 1873, another passenger who may or may not have been Samuel Clifford returned to Hobart on the Harriet with some very large boxes. Nowhere on these way bills is there evidence that Commandant A.H.Boyd personally used these plates and equipment to take the photographs of the remaining convicts of the criminal class at the penitentiary. The third way bill cited by Chris Long (TMAG, 1995:36) – dated 2nd April, 1874 – which details two photographic items – a tent and stand – shipped back to Hobart, is offered by Chris Long as pivotal proof that Boyd was the “Port Arthur photographer.” Nothing more substantial than that, and unproven in every detail. Examination of the third waybill showed that this same tent and stand were NOT the possessions of A.H. Boyd; a Mrs Boyd travelled on the Harriet on that date, with only a few personal items such as a hat box and pram. See the extended discussion on this site about the use of this argument. Nonetheless, these way bills are cited by Chris Long in Tasmanian Photographers 1840-1940 : A Directory (TMAG 1995:36) as evidence that the Commandant of the Port Arthur penitentiary, Adolarious Humphrey Boyd, “may have been” the photographer rather than Thomas J. Nevin , an opinion adopted by Warwick Reeder without substantiation and without checking the Glover reference or descendant’s story (MA sub-thesis, ANU 1995) and summarily dismissed by the authoritative photohistorians Geoffrey Stilwell and Joan Kerr (1992), and John McPhee (1977) who curated the original QVMAG exhibition of Nevin’s convict portraits. The misattribution is best termed a PARASITIC attribution, circumstantial and without substance or basis in fact. At worst, it is a personal fantasy. The original bundle of convicts’ portraits was “discovered” in the basement of the Queen Victoria Museum and Art Gallery in the mid 1970s among the 20 tonnes of materials which John Watt Beattie transferred there in 1927 from his Port Arthur Museum in Hobart (David Young, 1996). Beattie had acquired the convict photographs from government sources such as the Sheriff’s Office, sources readily available to him as official government photographer in the 1900s, and from his purchase of the Anson Bros photographic studio in 1892. 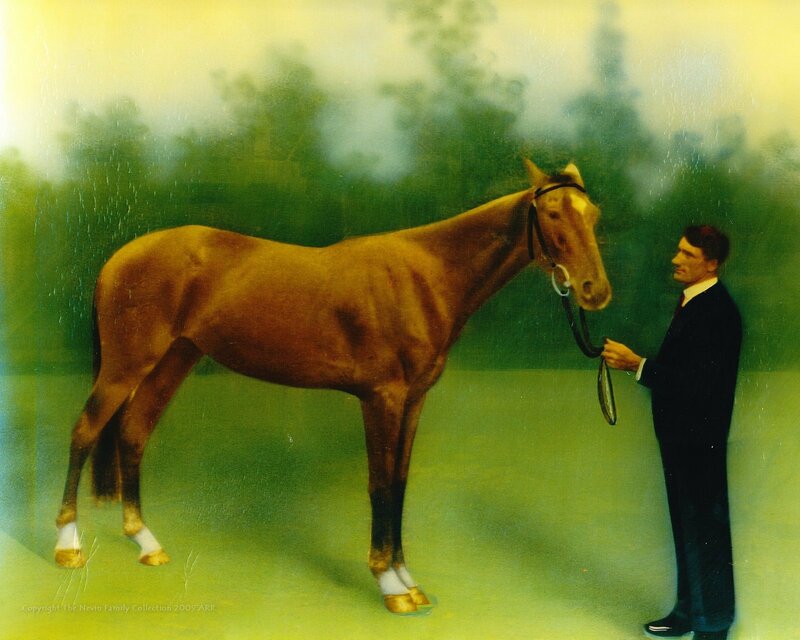 The Anson Bros in turn had acquired stock from Clifford’s sale of his studio in 1878, stock which included materials from Nevin’s partnership with Clifford in the 1870s. Between 1927 and the exhibition of Beattie’s collection in 1934, cataloguing at the QVMAG in 1958, the Nevin exhibition in 1977, and another cataloguing event in 1985 through to 1987, the original bundle was split up, and in some instances the photographs were copied: several remained at the QVMAG, several sent to the TMAG (1987), several to the Archives Office of Tasmania (1982), and several to the National Library of Australia (1982-1995). (footnote 65, Ibid, Reminiscences of E. M. Hall, Crowther Library, State Library of Tasmania in Glover, Margaret, Report on the physical fabric of Port Arthur). But Margaret Glover makes no such reference to either E.M. Hall or A.H. Boyd and cameras in that article (1979). That piece of hearsay, derived purely from a story scripted in fictional form for children by E.H. Hall in 1933, forms the sole evidence put forward by Long (1995) and Reeder (1995) wishing to claim Boyd, a career accountant, to be the one and only (proficient and professional) photographer involved when Boyd had no reputation in his lifetime as a photographer, no training or extant works, and no official documents associates him with prison photography. Long and Reeder had nothing more than a sentence in a children’s story. 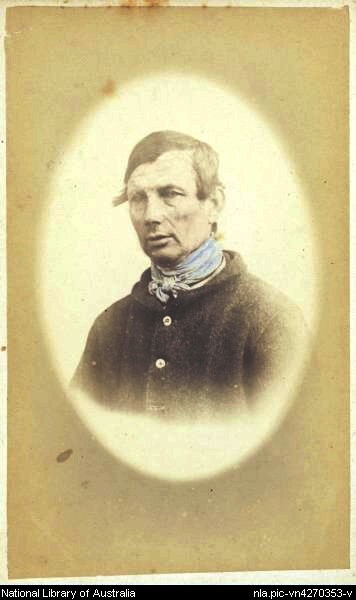 The informant’s story dates from the 1930s, and was falsely attributed to statements which do not appear in Margaret Glover, effectively fabricating photohistory for the next three decades, yet this story, coupled with the waybills, forms the cornerstone of Chris Long’s “belief” that A.H. Boyd took the extant cartes of Tasmanian convicts which bear the inscription on verso “Taken at Port Arthur, 1874“. Many were copied by John Watt Beattie from the originals taken in the 1870s, and catalogued with that inscription by archivists decades later, using primarily the place and date of photographic capture as a lure for the Edwardian tourist. Chris Long was the first to suggest that they [Port Arthur cartes 1874] might have been taken by A.H. Boyd. He is also the last, and should be the last (any redux of this issue is an echo effect, nothing more). Neither Long nor Reeder, the only two to hypothesize the Boyd attribution with such spurious logic and lack of proof, followed the history behind the movement of the photographs from location to location to location. In none of the debate has mention been made of Thomas Nevin’s brother, Constable John Nevin at the Hobart Gaol nor to the fact that the Sheriff’s Office held the records from 1887 to 1951. 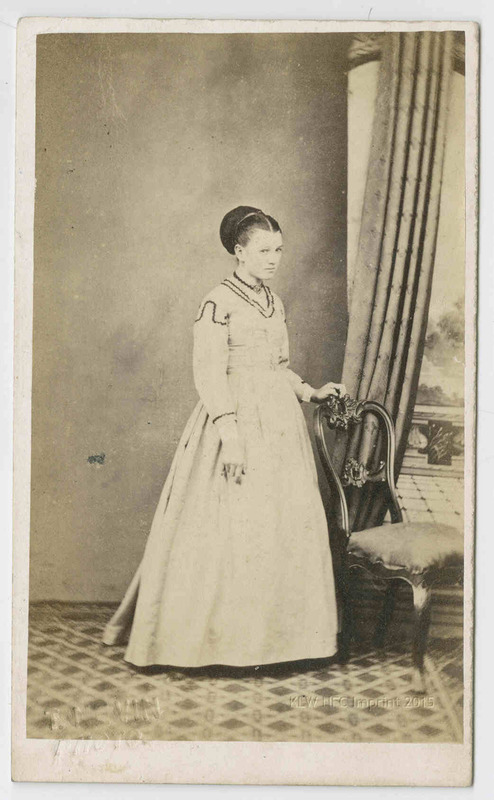 Description: 1 photograph : sepia toned ; 11 x 19 cm. Exact size 105 x 184 mm., “Tasmanian scenes” also known as “Clifford album 1”. Samuel Clifford’s partnership with Thomas Nevin has not been examined by the ardent “mystery solvers” of the “authorship” of the convict cartes held in both public and private collections. Clifford reprinted many of Nevin’s commercial studio portraits, stereos and landscapes for Nevin’s clients over many years into the 1880s. 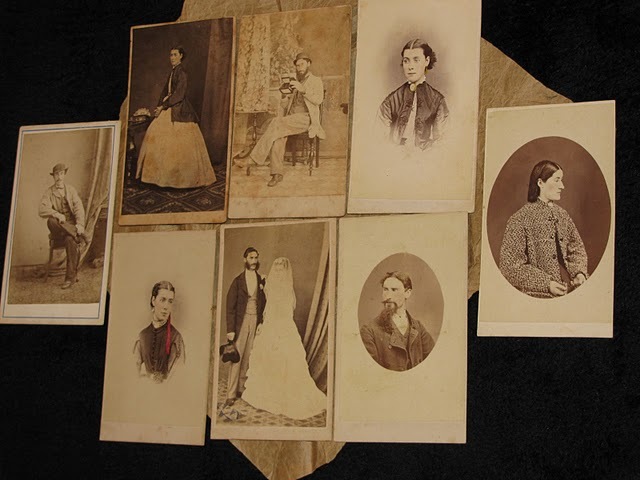 The “mystery” is compounded by the fact that records kept at the Port Arthur Historic Site are incomplete and therefore unreliable; several valuable record books are held in private collections, and in NSW private and public collections. For example, the Mitchell , State Library of NSW holds the Port Arthur “Officers’ visiting book, 1873” (Location No. : Tasmanian Papers Ref: 308). The Giblin contract issued to Nevin and held at the Allport firm of lawyers where Giblin was an associate was located by G.T. Sitwell in the Allport Bequest, State Library of Tasmania in 1978, and the portrait of W.R. Giblin taken by Thomas Nevin ca. 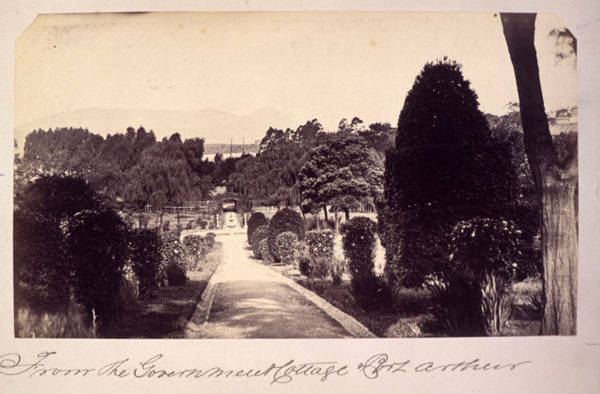 1876 was located in The Pretyman Collection, Archives Office of Tasmania. “The great bulk “? Not so. The Mitchell Library of NSW holds a vast collection of original documents from the Tasmanian colonial period – 368 volumes – bequeathed by D. S. Mitchell in 1907, including a later acquisition from photographer John Watt Beattie (1919) from whose bequest in the QVMAG the T.J. Nevin portraits of convicts were drawn for exhibition (1977) and distributed piecemeal to other State and National institutions (e.g. NLA 1980s and TMAG 1987). Contents: Official records relating to the government and administration of Tasmania. The records relate to both free citizens and convicts and include material as diverse as jury lists, correspondence, supreme court records, police records, convict indents, convict returns and convict assignment lists, musters, land grants, financial records, Commissariat records, executive council minutes, stock and produce returns, magisterial records, marriage records, plans etc. Bequeathed by D. S. Mitchell, 1907 (Tas. Papers Nos 16, 21-30, 129-141, 161-174, 198, 209-211, 221, 229, 233, 247-251, 294-302, 305-308, 310-314, 316, 318-321, 332, D 2-D 13, D 23). Other volumes were acquired from Angus & Robertson, 1911,1913, Mr Beattie, 1919, Mr. Eldershaw, 1939, C.R. Fisher, 1946, C.L. Wilkes, 1949 and C.H. Lucas, 1954. Any researcher on this question of “authorship” – which is a debate amongst art historians and fine art dealers founded on essentialist notions of the “artist” – needs to examine the Mitchell holdings: to imagine that the only extant records relevant to the period – and the debate – are held by Tasmanian institutions and Tasmanian historic sites such as the Port Arthur Historic Site, is indeed naive. The Mitchell papers also show that prisoners at Port Arthur were being relocated elsewhere to prisons in Hobart as early as 1871. The Mitchell Library also holds eleven convict photographs, catalogued in Nevin’s name, some bearing his government contract studio stamp. The prisoners in these photographs, like all the extant photographs of convicts by Nevin, were repeat offenders whose mugshots were taken by Nevin as early as 1872 at Supreme Court committals at the request of the Police and Prisons Departments. Just as with Samuel Clifford’s partnership with Thomas Nevin, Charles A. Woolley’s association with A. H. Boyd has not been examined by any commentators. Another non-sequitur by Chris Long appears on page 20 of the TMAG publication, Tasmanian Photographers 1840-1940: A Directory (1995). 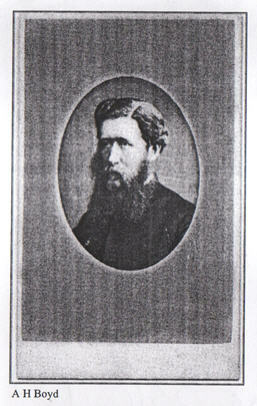 Superintendent at Port Arthur, 1871-1874. 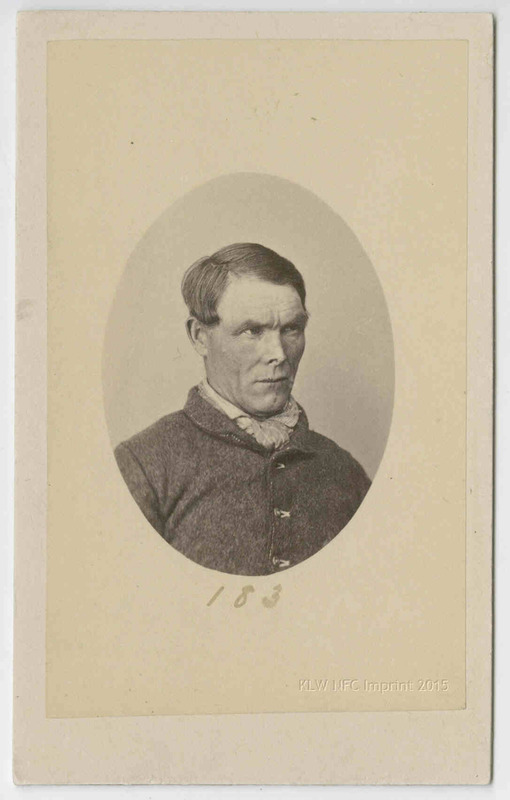 Thought to have taken most of the extant Tasmanian convict photographs (MEA). See also Charles Woolley. Notice the use of the passive construction “Thought to …”. No-one before Chris Long believed A. H. Boyd took these photographs; his “belief” is purely through idle speculation, not through documented proof. 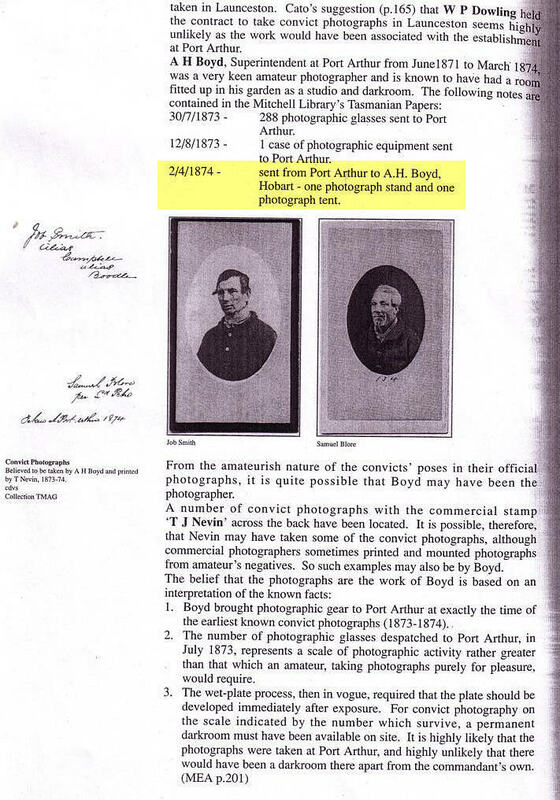 The entry for Boyd under “B” is as brief as this, and Chris Long gives no follow through to demonstrate that Charles A. Woolley had any association with these Tasmanian convict photographs, the reason being that Woolley in fact had no association with prison photography. Notice also the slippage in exchangability between “Port Arthur convict photographs” and “Tasmanian convict photographs”, as though they are synonymous, when they are not. The carte printed on page 36 on the left-hand side does not carry the inscription on the verso “Taken at Port Arthur, 1874“, whereas the verso of the one on the right does bear that inscription. 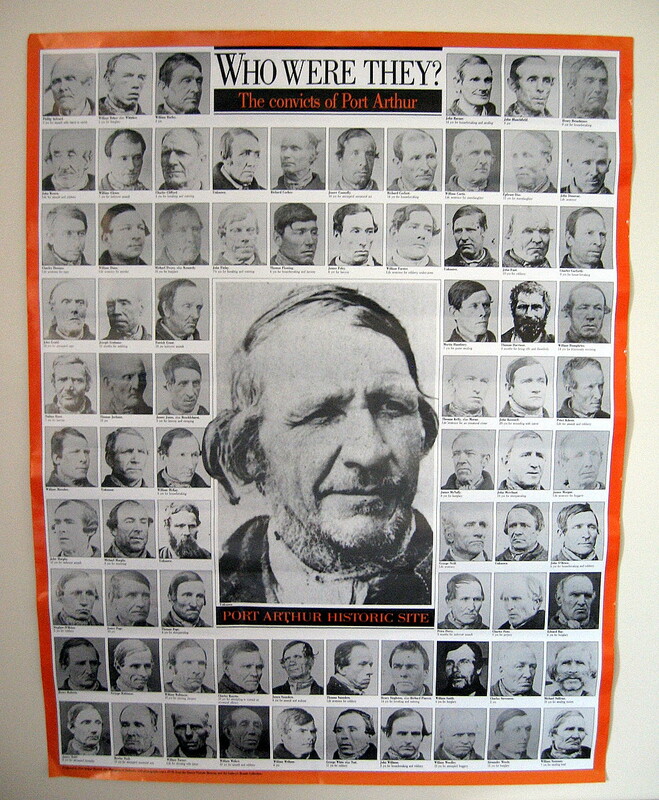 All of these convicts were photographed by the police and prisons photographer employed to do a specific job, and that photographer was Thomas Nevin working principally at the Supreme Court, the Hobart Gaol and Municipal Police Office Town Hall between 1872 and 1884 with his brother Jack Nevin. Constable W.J. (John or Jack) Nevin’s service began in 1875 and continued until his untimely death in 1891, aged 39 yrs. In summary, Chris Long’s research is a mess, and should NOT be used as a creditable source of information. Carte by Charles A. Woolley believed by Chris Long to be a photograph of the Commandant at Port Arthur, A. H. Boyd (TMAG 1995:129).